If you want to hack your PS3, but have no interest in piracy, one developer has the firmware update for you. The latest movements in the world of PlayStation 3 hacking saw a group called "fail0verflow" give a tour of the console's security system and its "master key" posted online. Ever since the PS3's copy protection was broken in August 2010, Sony has been trying to put Humpty Dumpty back together again to prevent the spread of piracy. However, a new bit of custom firmware created by "KaKaRoTo" might be a PS3 homebrew solution Sony can live with, as it's specifically designed to prevent users from running pirated games. KaKaRoTo writes on his blog that he's been able to develop the first working "custom firmware" for the PlayStation 3. He says the effort was possible thanks to the tools created by fail0verflow, but emphasizes that the purpose of his work is not to allow people to play pirated content. 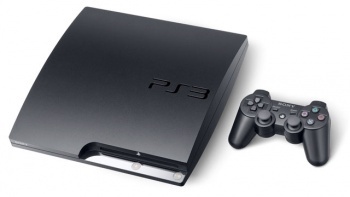 The custom firmware works by slightly altering any version of Sony's PS3 firmware. It adds an "Install Package Files" option to the game section of PS3 XrossMediaBar (XMB) so that users can install "pkg" files like those used for PSN downloads. KaKaRoTo writes: "Since the kernel is left unmodified, this means that this custom firmware is really meant for future homebrew installation, and it will not allow piracy. I plan on keeping it that way." Most of the currently available PS3 homebrew software has to be altered to install through KaKaRoTo's new method. KaKaRoTo says that this is only the beginning and he plans to add more features into his custom firmware in the future, but he apparently doesn't have any interest in aiding game pirates. Videogame console hacks have always been an intriguing topic, because it's really cool to be able to "free" these systems to make them do more than they're designed for. However, it's understandable that Sony, Microsoft, and Nintendo don't want users to do this because of how it can make piracy easier. It's nice to see that there's a group of hackers out there that only wants to tinker with the game consoles they own without any intention for wrongdoing.